Dr. Jain who is the director and board certified physician saw the patient on Christmas Eve for the cellulitis and tendinitis of the finger from the dog bite 2 days ago. The patient’s finger is tender, red and unable to move. Dr. Jain examined the patient and ordered blood tests CBC and chemistry profile. The patient was given the injection of ceftriaxone and the antibiotics to take orally. The patient needed another injection next day which was Christmas day. 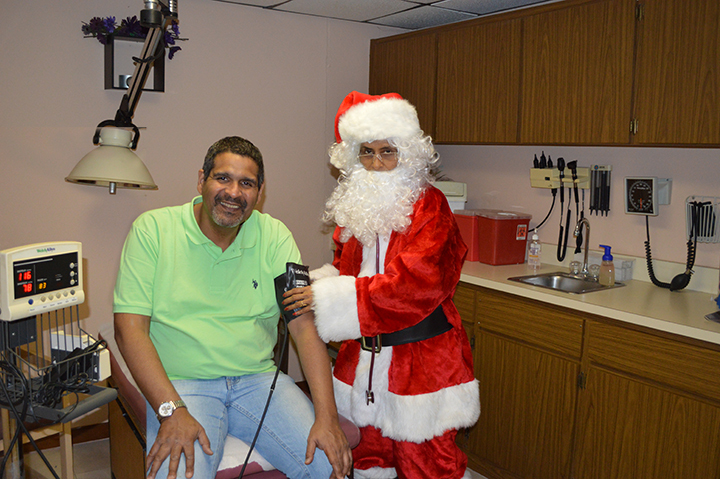 Dr. Jain made special trip to the medical center but came as Santa and treated the patient. 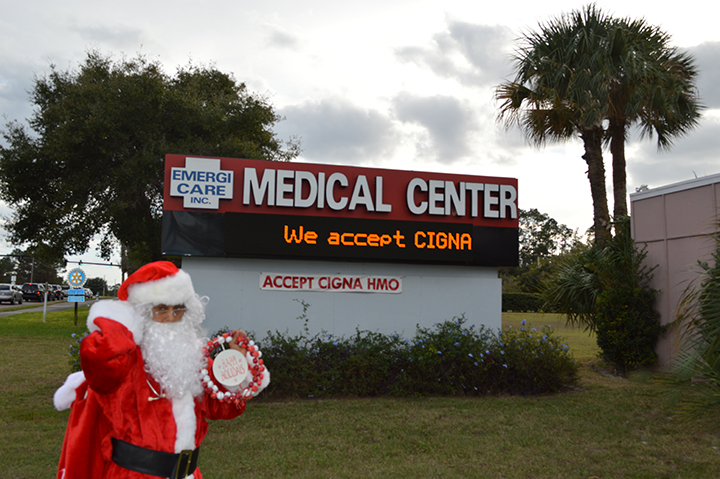 Dr. Santa in Orlando on the Christmas day specially to treat and give the injection of an antibiotic to the patient so the patient would not need to go to the hospital. Dr. Santa does not usually come to the medical center but made a special trip and treated the patient on Christmas day. This entry was posted in Emergencies, Emergency Care, Family Health Care, Medical Needs, Patient Stories, Routine Medical Services and tagged CBC and chemistry profile, Cellulitis, Christmas day, Christmas Eve, director and board certified physician, dog bite 2 days ago. finger is tender, Dr. Jain, injection of ceftriaxone, medical center, ordered blood tests, patient, red, Santa, tendinitis of the finger, treated the patient. Dr. Santa in Orlando, unable to move. Bookmark the permalink.